“The national idea should be formed on the basis of national thinking. It should express the history of the hopes and aspirations of the glorious and virtuous ancestors, of the today’s citizens of the country and of the future of the new generation. The events of the first years of independence took place on the basis of such thinking. That is, an idea based on religion took over the national Tajik idea. These groups made claims that all thoughts should come from Islam, however, when the national consciousness became identical with the religious one, we stopped in our development. … The ultimate goals of the Islamic society and honoring of the Tajik nation are different. The main reason for the civil war in the country was the use of this slogan. That is – the Islamic nation instead of the concept “Tajik nation”, the term “adherents of Islam” appeared. Religious and national traditions differ from each other. Therefore, there can be no union between them. The ultimate goal of Islam says that everything should be implemented on the basis of the Quran, and our national idea says that everything should be justly done,” he said. For nearly 30 years after the fall of the communist system, under which were also the peoples of Central Asia, authoritarian regimes which usurped power in the countries of the region are trying to introduce into the minds of the people any idea or an ideology that could unite around them the peoples of the countries and replace Islam. This was the plan of dictators who hoped to fulfill their main task – to control the situation, preventing the Islamic revival in their countries. 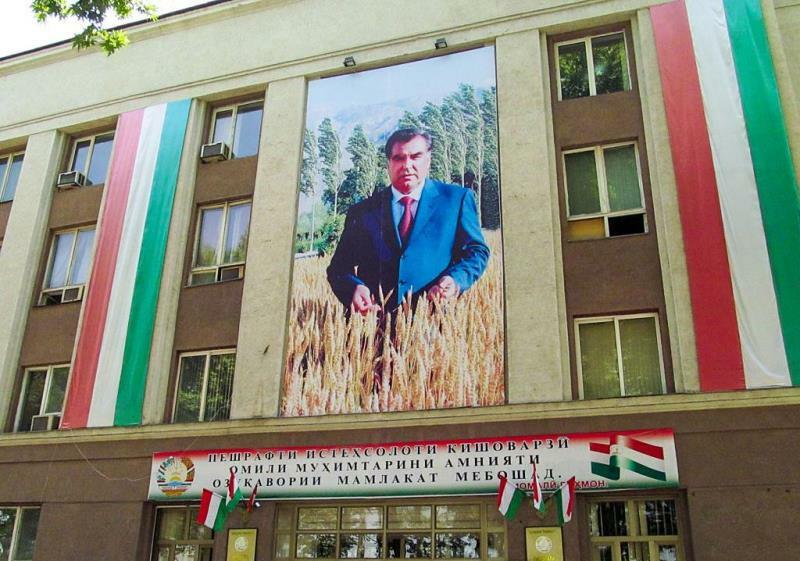 From the very beginning of his reign, Rahmon put forward a national idea as a state ideology and throughout the 25 years he was trying to introduce it into people’s minds (praise be to Allah, to no avail). For this, he uses not only repressive measures, but also propaganda measures — for example, that appeal to historical facts and personalities, especially to the pre-Islamic period. However, due to the fact that the people of Tajikistan are Muslim people, they immediately began to return to religion immediately after liberation from the Soviet occupation, which manifested itself in all spheres of the daily life of this people. Thus, between the people, in which sincere Islamic feelings appeared, and the ruling elite planted from outside, entirely consisting of secular personalities, there was a wall of misunderstanding and distrust that is growing today. As for the demagogy of unscrupulous government scientists, such as, Usmonov’s words, in which he allegedly assumes that because of Islam, progress stopped in the country, but one does not need to be a historian to understand the absurdity and deceitfulness of these words. Did not, with the advent of Islam, our people become part of the great Islamic Ummah, which achieved greatness in all spheres of human life, including basic science in which the Western countries are so developed? Are not Al-Khorezmi and Al-Biruni clear evidence of the impetus to the development given by Islam to every nation that practices it? Didn’t Islam elevate our people to high moral qualities known to the whole world? And aren’t the suffering of occupation and its consequences caused by the abandonment of Islam? – corruption permeates all spheres of society. The large Rahmon clan divides the entire state apparatus and business in the country, robbing the population and constantly taxing it with new taxes. And this “historian”, Usmonov, calls all these developments! Let him reflect on the well-known words of the second righteous Khalifah (Caliph) Umar ibn al-Khattab (may Allah be pleased with him) once said: “إنا كنا أذل قوم فأعزنا الله بالإسلام فمهما نطلب العزة بغير ما أعزنا الله به أذلنا الله” “Verily, we were a humiliated people, Allah has exalted us through Islam; therefore no matter how we strive to achieve greatness otherwise than by means of what Allah has exalted us – He undoubtedly will humiliate us”.